The beer Achel Blonde is brewed by De Achelse Kluis in Hamont-Achel in Belgium. 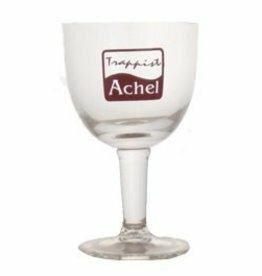 A pretty, chalice-shaped glass from the famous Achel Trappist brewery. Note: the image may differ slightly from the delivered product. Achel Brown is a Trappist beer with a full taste that is slightly sweet with notes of dried fruit and a bitter hint in the aftertaste.